It has finally arrived, Football Manager Classic for PS Vita. Now you’re able to take your team with you, wherever you want to go. Add up the fact you’re able to transfer your save game from the PC version and vice versa, and you’re pretty much in for a treat. Note: Seeing this version does not differ that much from the original Football Manager 2014 review, you’ll find this review to be a bit more superficial. The PS Vita version proves to be quite the same, with a tad less features. 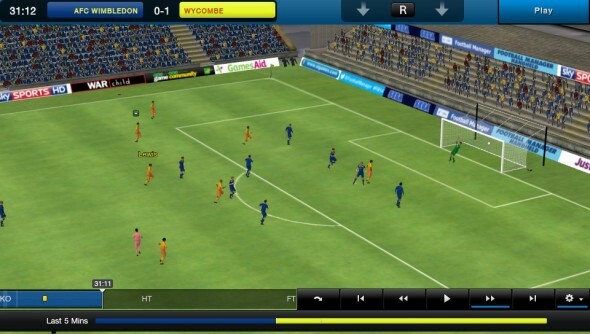 Click here for the full review of Football Manager 2014 on PC. The story, like usual in this game, is that you start out as a manager that wants to make his way to the top of the football world. You can choose the team that you want to manage, no matter which team you pick, they’ll accept you as their new manager and give you the chance to make their team the best one in the world. But beware, if you do not meet their expectations, you might end up looking to find a new job with another team. The game consists mostly out of menus, which have a simple but nice design. They tried to keep the menus the same as they are on the pc version, but then fitted for the PS Vita screen which is a lot smaller than a PC screen. They did an awesome job on scaling the menus, and have hided some options from the screen which you can call by pressing the R button. This is a good example on how to get everything on a screen so small, without losing anything. The only bad point here is that because the menus are mostly exactly the same as the PC ones, sometimes the text is a bit small. This might give people with bad eyesight some trouble to read everything on the screen. In the Vita version, same as in the PC version, while your team is playing a match, you can see the match in a 3D rendering. This rendering has improved a lot from previous versions of this game, but can still improve further. Except from the public cheering on the teams while playing a match, there isn’t really any sound present in the game. This is the main reason why the sound will not be graded. The game is essentially the same as Football Manager 2014’s classic mode but now on a smaller screen. 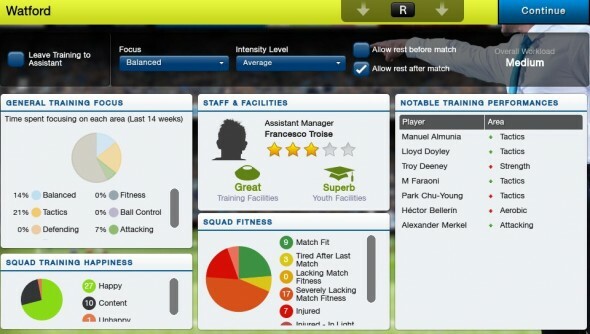 If you wish to learn more about these basics, be sure to read the Football Manager 2014 review. Classic mode is a career mode where you can solely focus on managing your team, without having to worry about player’s contracts that will expire etc. So you’ll make faster progress in Classic mode than in Football Manager Carreer, which is not available in the PS Vita version. Gamers who have already played the previous versions of the game will feel right at home. For the newcomers to the franchise it’s advised to follow all the tutorials to learn the ropes of the game. It’s vital to know how the game works, seeing you’ll spend most of the time browsing through menus. The one thing which is awesome, is the cross save feature. You can connect your PS Vita account to Steam and upload or download a save file. This way you can continue your game you were playing on the PC (if it was a Classic mode career) on the PS Vita. And when you get home you can upload your savefile again and it will be available on the PC. This is a good example on how it should be for a lot of cross platform games. 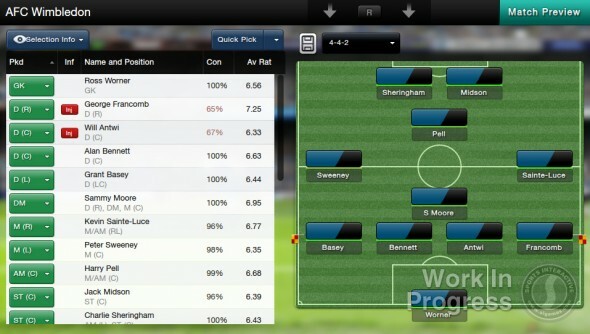 Football Manager Classic also hasn’t lost its ‘Just one more!’ feeling. This drive is what makes Football Manager the best football managing game out there. This is also what keeps you motivated to either continue your winning spree or pick yourself up and make a glorious comeback. Although Football Manager Classic only comes with Classic Mode, the game is very well brought to the PS Vita. Aside from the sometimes small texts on the screen the game proves to be a great experience. The cross save functionality, which is finally activated, now this version is on the market, is one of the best features of this game. Now we can continue managing our teams whenever and where we want.